As a mother, I’m always after the welfare and safety of my children even if they are well along in years already. I’m just glad that I have gone past that stage where everything in the house needs to be childproofed to ensure utmost safety for young kids. Nevertheless, if you’re barely starting to raise a family or if you have young kids running around the house, you might want to read on to find out how you can make your kitchen, particularly your kitchen cabinets, child-friendly. The first thing you need to consider is safety. Make sure that you choose cabinet doors and drawers that can easily accommodate childproof latches. As much as possible, you should choose cabinets that can be locked so there won’t be any way your kids can open these. You might also want to make cabinet corners rounded to prevent any head injuries. Next, consider the materials that will be used for the cabinets. This is appropriate in cases where you would call in to have your cabinets custom-made. Ask the experts for the type of materials that are deemed safe for young kids. 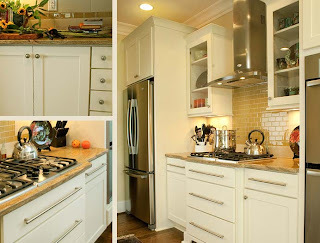 If possible, choose a tiered design for the cabinets in your kitchen. That way, your kids wouldn’t have to reach way up if they need to put something away. Besides, this also serves as a protective barrier that keeps your children away from dangerous cook tops or knives. You can do plenty of things to make your house child-friendly, but you would do well to start in the kitchen. After all, it’s one of the rooms in your house where the bulk of family activities happen.